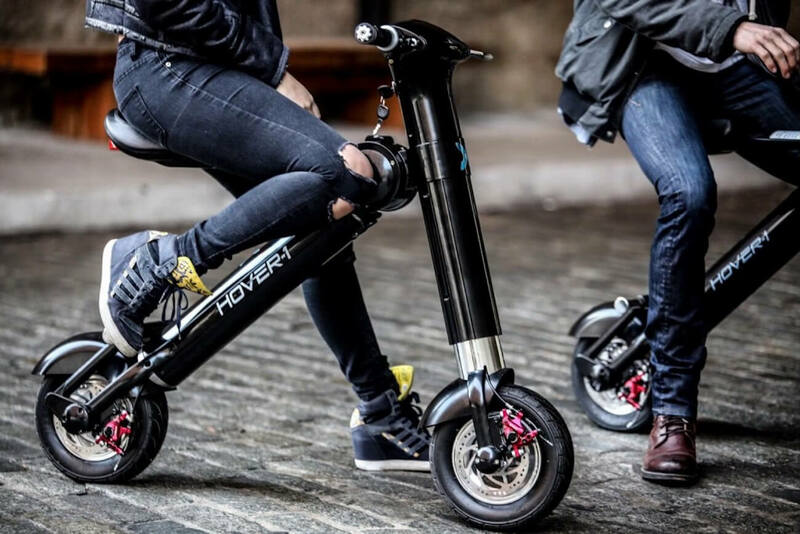 The Hover-1 XLS Folding Electric Scooter is your no fuss scooter. Right out of the box, the bike comes completely assembled and is ready to ride. It cruises smoothly and folds to a compact size. If you want a scooter that works to its full potential from the get go, then this heavy-duty motorized bike hybrid is the perfect scooter for you. ●	TIME TO DUST OFF THE OL' MOTORCYCLE JACKET - The high performance brushless motor efficiently reaches speeds of up to 20 MPH! Estimated riding time of 1 hour and 20 minutes at the maximum speed with a "suggested use" guideline for achieving 2.5 to 3 hours of battery life. 285lbs weight capacity. Recommended for adult-use only with a 14+ suggested age limit. The Unique Key based system offers security from unauthorized use or theft. Oh yeah, one more thing, don't forget your helmet! 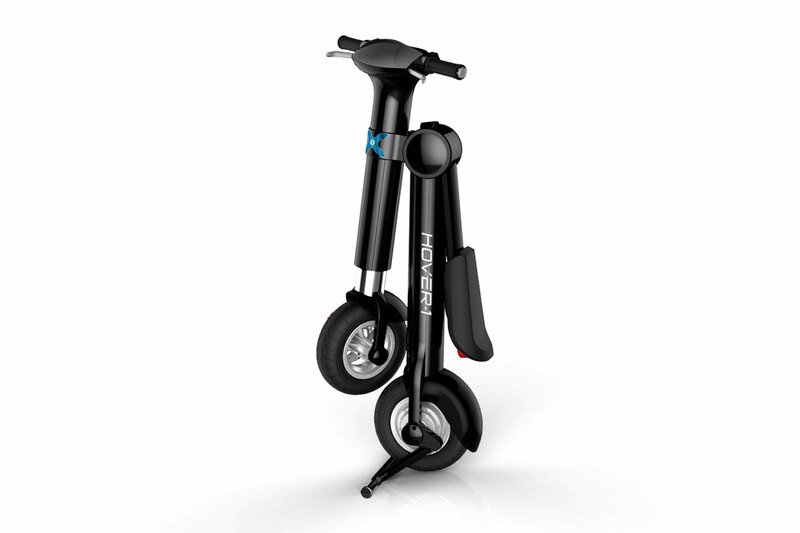 ●	SAFETY FIRST - Hover-1 loaded this power scooter with advanced safety features and transportation engineering such as the brake-activated power cut-off when both the brake and throttle are accidentally engaged simultaneously. 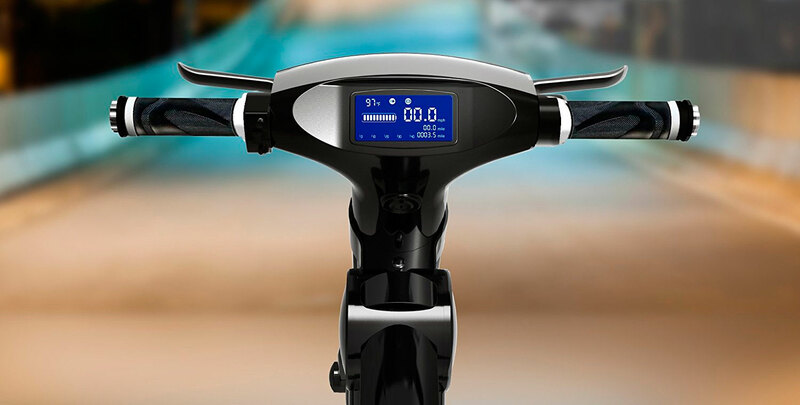 We designed this powered e-bike with completely resettable circuits and fuses to protect the overall system while ensuring maintenance is kept to a minimum. Perhaps the best feature is that this urban city commuter bike is ready to roll with NO ASSEMBLY REQUIRED! This scooter gets you riding at a top speed of 20 mph with a range of 22 miles. It comes with a digital LCD display for speedometer, odometer and trip meter. It has R/L dual disc brakes, a spring loaded kickstand, extra wide 10” pneumatic tires, 2.5 to 3 hours of battery life and a comfortable cushioned seat. Other notable features are its weight capacity (285 lbs) and unique key-based system that protects from unauthorized use or theft. Safety is a big deal when it comes to this scooter. Advanced safety features such as the brake-activated power cut-off and resettable circuits as well as fuses that protect the overall system are part of this model. 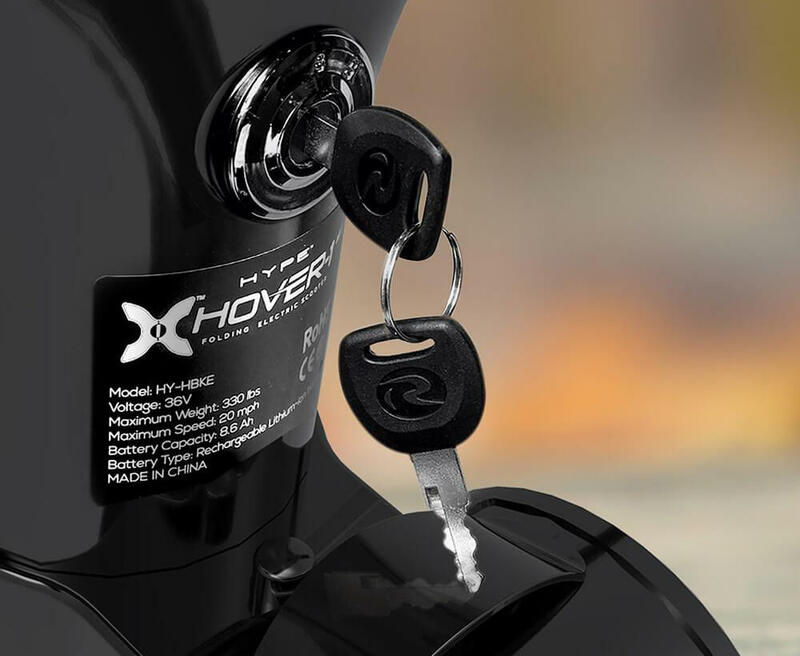 It takes around 3 to 5 hours to charge the Hover-1. It measures 42.24” x 37.5” x 21.2” and 45” x 21.3” x 11” when folded. Customers find this model a great little scooter. It is a perfect model for the town and the beach. It is easy to unbox, simple to use and folds to a small 48”. 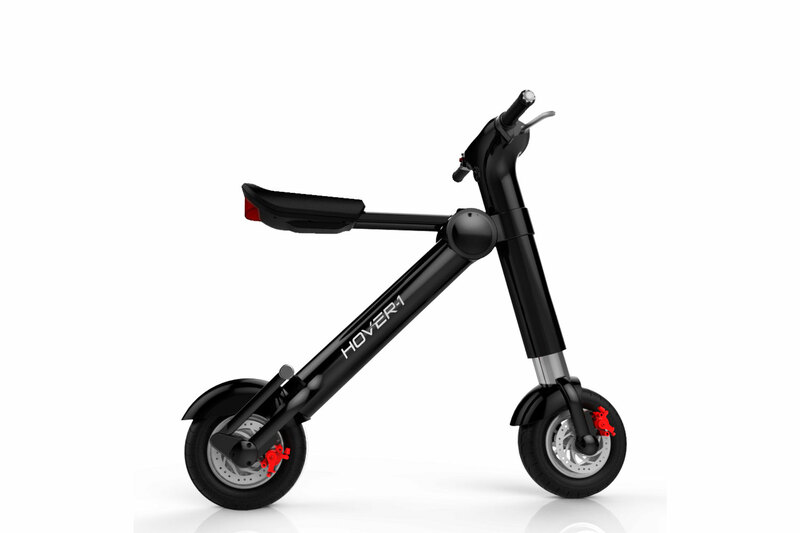 Further, the Hover-1 is a hit with heavier riders (it can support up to 230 lbs). 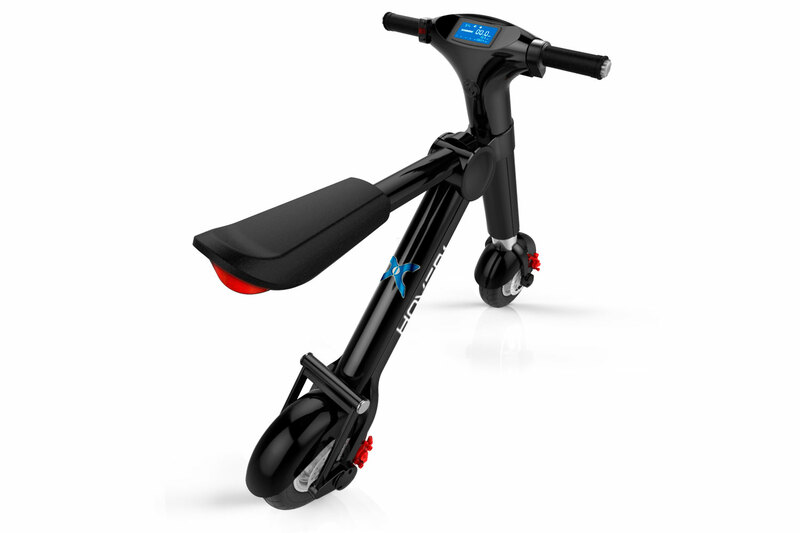 It’s designed well, looks streamlined and has great shock absorbers. 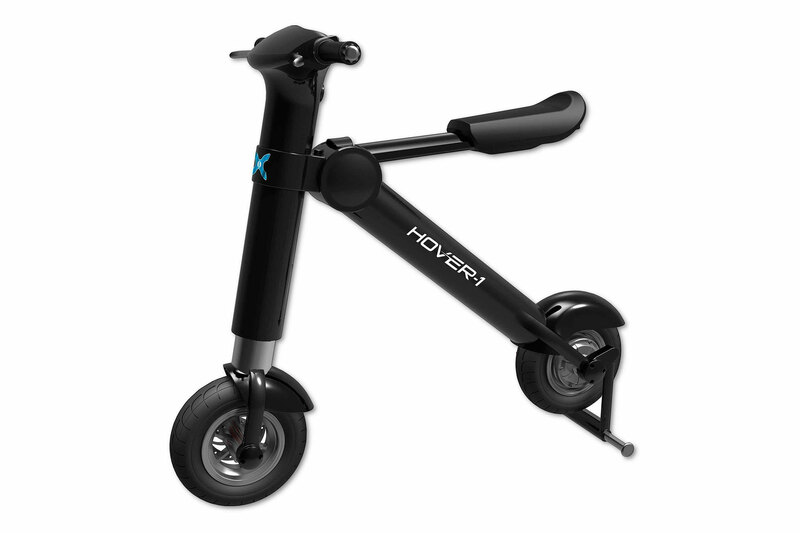 The Hover-1 XLS is your heavy-duty scooter. It’s easy to maintain, rides smooth and comes with great safety features.